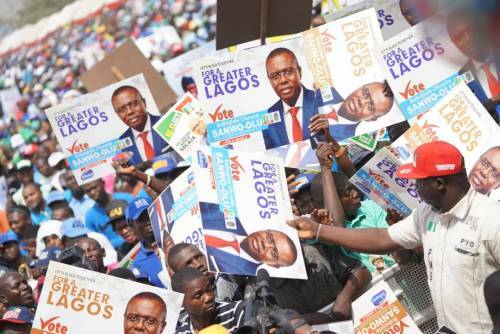 Lagos State Commissioner for Information, Kehinde Bamigbetan, has given reasons the All Progressives Congress (APC) should be voted back to power in the state. The commissioner urged residents not to be deceived by the opposition parties in the forthcoming general elections and said it would not be in the interest of the state and its people to return to what he described as darkness days of the opposition in the country. Bamigbetan, who was former chairman of Ejigbo Local Council Developmemt Authority, spoke yesterday, during the inauguration of foot-soldiers to campaign for the party candidates from presidency to state House of Assembly. He said: â€œWe are aware that the general elections are near. On February 16, we shall go to the polls to elect our president, our senator, our members of the House of Representatives. On March 2, we shall return to the polling booths to elect our governor and members of the House of Assembly. â€œWe have to go out and engage the people and convince them that the candidates of our party are the best servants who can serve them. This is why we have created a team for each candidate at each of the polling booths to be used in this election. â€œIt is a collective work that will continue day and night until victory is achieved. Our task is to get the votes by visiting voters and persuading them that APC is still the best choice for residents of Ejigbo. â€œOur party, the APC, needs all the support it requires to accomplish this task. We are competing with over 60 parties nationwide and no fewer than 40 parties are contesting with us in the Oshodi-Isolo Constituency 2.